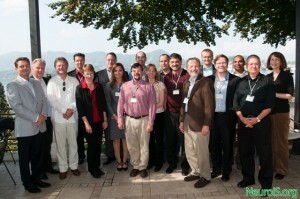 The NeuroIS retreat was held in Gmunden, Austria, September 22-24, 2009 to develop a research agenda, create new metrics, and provide tools for researchers in marketing, economics and information technology. The retreat was attended by leading scholars from the US, Canada and Europe such as Izak Benbasat (British Columbia), Fred Davis (Arkansas), Alan Dennis (Indiana), David Gefen (Drexel), Alok Gupta (Minnesota), Detmar Straub (Georgia State), Rene Riedl (Linz) as well as Rajiv Banker and Paul Pavlou from the Fox School. The retreat resulted in a set of normative standards for conducting neuroimaging studies and foundations for establishing NeuroIS. For more details about the retreat, please visit http://www.neurois.org/.